How did they get there? Most webmasters have their go-to internet marketing method which brings them their highest number of visitors. It could be banner advertising, ppc, facebook marketing, etc. Once you found out what it is I’ll recommend imagining the user navigating from it to your site. Once they’re there “visualize” them using your site. Do you think your site meets user expectations? You could have some nicely written content but if it’s not what they’re expecting then it doesn’t serve them much use. My example will be about the coffee maker when I clicked on a search result that had “green coffee maker” in the title, but failed to show one I ended up clicking away quickly as it was of little relevance to me. That’s something that you do not want because it will kill your conversions. For optimal conversions where do you think your site content should fall between? The answer is within the intersection or the blue shaded area. This is where the user’s expectations collide with your site content which equals success. Just think about it, when you surf the web do you stay on a page that doesn’t meet your expectations? The answer is NO! Now, think to when you found a page that did meet your expectations. Were you more likely to stay there? Were you more likely to complete an action such as signup to a newsletter or order a product? The answer is YES. Are you familiar with the Interstate Highway System? If not, then I’ll save you some researching and tell you that it’s a network of interconnected freeways that was advocated by President Dwight Eisenhower. It has many uses but the one I’ll concentrate on is to help travelers get from one location to the next quickly on land. While a commuter is driving they’ll see various roads that they must get on until they arrive at their destination. The roads are analogous to the cluster of keywords you’re using to help guide visitors on your site, while the destination equals the end result that your visitor takes such as signing up to your newsletter or purchasing something. Most websites are not one page sites, but are like multi page terminals that guide a client from one point to another. If the keyword that the user used to find a site appears not only within the text but in the images, video, or audio throughout the site then this will help the user “bond” with it and which is exactly what you want. However, if a website doesn’t contain the correct keywords that the user is looking for then they’ll feel like they are traveling in the wrong direction and will change their route or navigate away from the site. Therefore, instead of using one keyword throughout your site you should be using an array of keywords that are all related to the main keyword you’re targeting. Optimizing your site for visitors’ expectations is a beautiful marketing strategy to follow but the million dollar question is how exactly can you do this? The secret formula I use is called “keyword elucidation.” In this method you build up a virtual profile of visitors that come across your site which you can do in one of two ways. You can use quantitative analysis by conducting surveys which I prefer. Even though I like surveys I can’t deny that participants tend to provide inaccurate information. How do I know this? I ran several successful surveys in the past and I used the method of gifting to promote it. In other words, if you fill out this awesome survey then I’ll provide you a free downloadable gift via email. Another 20-30 percent end up submitting inaccurate information to mislead you, and the remaining percentage of users submit accurate information. As you can see not many web users end up submitting accurate data, but I’m ok with that because those that do allow me to have insights into my niche that NONE of my competitors have which is a large competitive advantage. If you want to use quality software to administer surveys then I’ll recommend using Limesurvey. I have used it in the past and I personally think it’s an excellent piece of software. Alternatively, you can get highly accurate data by using a quality analytics program like Google Analytics. There is a ton of amazing data that you can extract about your visitors using GA such as: Age,Gender, Interests, Language, Location, Behavior, Browser. In addition to building a virtual profile you can analyze how your web visitors are finding your site. 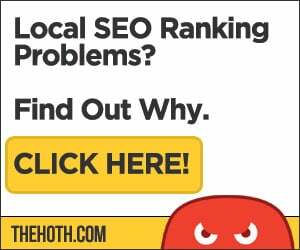 You may think that they are typing in the exact keyword phrase you’re optimizing your site for, but if you look into your GA keyword reports then you may be surprised. The beauty of analytics is that you can soon stop guessing what you “think” is happening on your site as your data will reveal what’s really going on.